The GRACE-FO mission promises to open up a new dimension in space remote-sensing by using Earth’s gravitational field to map the distribution of water on the planet’s surface. Tom and Jerry are at it again, only this time the cat-and-mouse chase is being played out in the skies. Last week, NASA launched a pair of satellites (nick)named after these popular cartoon characters to revolutionise the way scientists use space-based remote-sensing to study our planet and the forces shaping it. As part of the Gravity Recovery and Climate Experiment Follow-On (GRACE-FO) mission, the two satellites chase each other across the heavens, monitoring the weakest of the four fundamental physical forces in nature: gravity. Earth being a ‘lumpy’ planet with an uneven surface, its gravitational field is asymmetrical. Using satellites, scientists could learn more about this ‘lumpiness’ and, in turn, better understand Earth’s structure and the changes in its climate wrought by these variations. Microwave range-finders on-board the satellites will help Tom and Jerry adjust their positions in space automatically with a precision of one-fiftieth the width of a human hair. When they pass over a region of Earth where gravity is comparatively stronger, the gravitational tug causes a perceptible change in the distance between the satellites, which is measured by their instruments and relayed to the ground. Each satellite’s response to the planet’s gravitational pull is slightly different and highly sensitive Earth-based instruments can measure this difference. Scientists use this data to track variations in Earth’s gravitational field at regular intervals and create ‘gravity maps’ by comparing the height of a landmass to the gravity whose strength is measured there. In 2002, as part of the GRACE mission, NASA had launched an identical pair of ‘Tom and Jerry’ satellites into orbit that ran out of fuel last year. Those satellites had far exceeded their design lifetime of five years, and had beamed back a trove of data that helped scientists figure out many terrestrial phenomena such as rising sea levels, melting ice sheets and droughts. The new GRACE-FO probes carry even more powerful batteries, sensors and cameras on board to track much more and more sensitively. 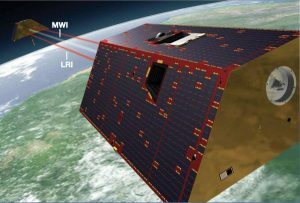 The GRACE-FO mission promises to open up a new dimension in space remote-sensing by using Earth’s gravitational field to map the distribution of water on the planet’s surface. Water resources on the ground are remarkable indicators of physical changes in any landscape, whether in the form of melting ice (which causes glaciers to shrink) or heavy rainfall (which pumps up underground water reservoirs). The tiny variations in landmass caused by changing water levels have an effect on the gravitational field, which fluctuates ever so slightly and can be measured by the satellites regularly. This will help scientists to develop a veritable water map of the planet. It is thanks to the earlier GRACE satellites that we know that about a third of the planet’s groundwater resources are being depleted. 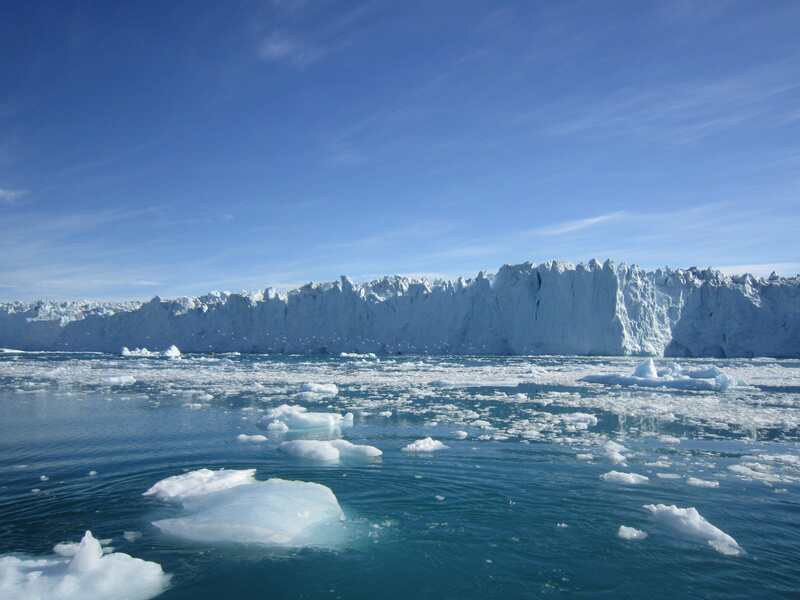 And that the melt rate of land ice in places like Antarctica and Greenland is increasing appreciably by the day. The curious thing about the effect of Earth’s gravity on an orbiting satellite is that its pull is weaker where the elevation of a place is lower and stronger for higher elevations. Thus the higher pull of gravity in, say, the south Pacific Ocean has to do with the comparatively thicker mantle underneath Earth’s crust in that region. Interestingly, India figures prominently in gravity atlases because scientists have found that the pull of gravity is weakest off of the Indian peninsula. This owes to some ancient geographical features beneath the ocean like deep trenches – reminders of a violent past when the Indian subcontinent collided with the Eurasian tectonic plate and pushed up to create the Himalayas. As Tom and Jerry waltz around Earth, the data they beam back will improve current weather forecasting models and lead to more accurate alerts on natural disasters like floods and droughts. And since the doughty duo can detect movements in the planetary crust, they could sooner or later even contribute to that great unsolved problem of geoscience: earthquake prediction. Prakash Chandra is a science writer.